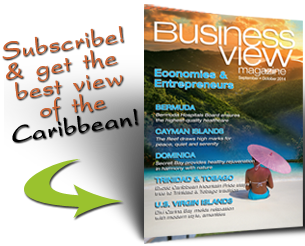 Business View Caribbean interviews Roy Newell, Manager of Tijule Company Ltd., as part of Best practices in Jamaica Business. 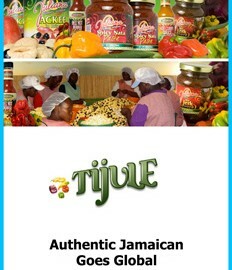 Tijule Company Ltd. is a 28-year-old family owned and operated agro-processing company that manufactures and exports high-value, high-quality food products made from a variety of indigenous Jamaican fruits and vegetables. Its product mix includes canned ackee and callaloo, seasonings that come in the forms of pastes or rubs, sauces in a variety of versions – hot, spicy, sweet, jams and jellies – that are made from seasonal Jamaican fruits, and dips bearing the Juliana and Nel’s Old Time branding. It was founded by a scientist, Dr. Juliet Newell, who died early in 2013, and is now managed by her nephew, Roy Newell, alongside an experienced management team. Tijule is the largest employer in Jamaica’s Palmers Cross district with a full-time workforce of 80 employees and more than 150 more who are brought in on a seasonal basis – 90 percent of whom are female. Its facilities cover just more than two acres of land, in the form of a 30,000-plus square foot building that houses all administrative and factory personnel. “We are proud to be the company supplying an income to the many farm families located in center of the island, who supply all of our natural ingredients for the products,” Roy Newell said. “Tijule embodies a family company. The atmosphere itself is warm and friendly. Workers genuinely care for one another. Dr. Newell was that kind of an individual and some persons have been around for 25 years. The initial focus of the business was on contract packaging for North American and European customers, while supplementing that revenue via domestic work with the country’s hospitality and food service industries. An increased emphasis in the past year has been placed on building the Juliana brand in the United States, particularly in New York, Atlanta and Florida, where it has a strong following. Juliana products are available as dips and seasonings, mixes, jams and jellies and as canned foods. Tijule exports 85 percent of its products, primarily to the United States, United Kingdom, Canada and Japan. Another 10 percent is sold to exporters and 5 percent is sold locally. Its target markets include local bulk purchasers and ethnic Jamaicans within the U.S., Canada and the UK. Tijule both maintains a connection to its Jamaican roots and augments its future workforce by providing internship experience to no less than a half-dozen students each year who are seeking employment experience with an agro-processing company. It is the largest such operation in Jamaica’s Clarendon parish and its founder was a food scientist who had developed processes for several domestic companies while fueling development of the industry as a whole. Thanks to that expertise, Tijule is able to transform common local foods, fruits and spices into value-added products without the need for excessive amounts of artificial ingredients. Another technological retooling is underway at the company’s headquarters, where a closed-circuit television system is being installed for 24/7 premises monitoring and an updated inventory and accounting system is being added as well to guarantee the best possible pricing for products and most accurate stock levels. Another important factor for prolonged success is a series of vital business partnerships. Tijule’s raw materials are supplied by farmers mainly based in St. Elizabeth, Manchester, Clarendon, St. Catherine, Portland, St. Thomas and St. Mary. And, Roy Newell said, suppliers have been brought up to speed over the years on the standards to which their fruits and vegetables will be held. The company maintains a waste water treatment facility to ensure proper disposal of waste and is actively involved with Caribbean Export Development Agency (CEDA) initiatives related to composting, water treatment and energy consumption. CEDA’s objectives include optimizing the Caribbean region’s export potential through facilitating innovation and the creation of world-class brands. 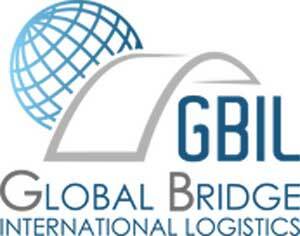 It was created in 1996 by an intergovernmental agreement of the members of the Caribbean Group of African, Caribbean and Pacific States and provides export development and investment promotion services through program execution and strategic partnerships. Additionally, Tijule was approved by the U.S. Food and Drug Administration to export ackees in 2002, and it implements hazard and critical control point (HACCP) quality systems for other products with the assistance of the Center for Development in Industry – which supports the creation, expansion, diversification, rehabilitation and privatization of industrial enterprises in African, Caribbean and Pacific counties through identification of projects and potential partners, operations prior to implementation of a project, financial and legal structuring of a project and project start-up and development. Objectives going forward, Roy Newell said, include investment in marketing and intellectual property, an improved penetration strategy for U.S. markets and entry into more Canadian markets. Also planned is an upgrade of the internal machine line that labels products and the stabilizing of production costs by using more automated and less labor-intensive processes. 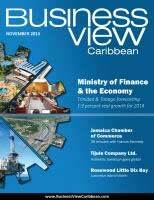 Check out this handpicked feature on The Bahamas Mortgage Corporation.